We are a small family-owned boarding kennel located south of Ottawa, Ontario, on 25 acres of maple bush and groomed walking trails. 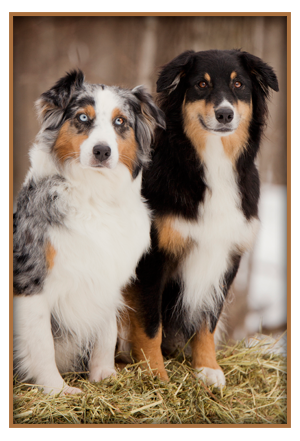 We are a licensed facility and we are recommended by local veterinarians. We provide you with peace of mind knowing that when your dog stays with us, he is in a safe, cage-free environment. Our goal is to ensure that your pet's visit is as stress-free as possible with lots of exercise, socializing, and one-on-one care and attention. Maplewood is now offering Agility Training. Check the Training page for more details.